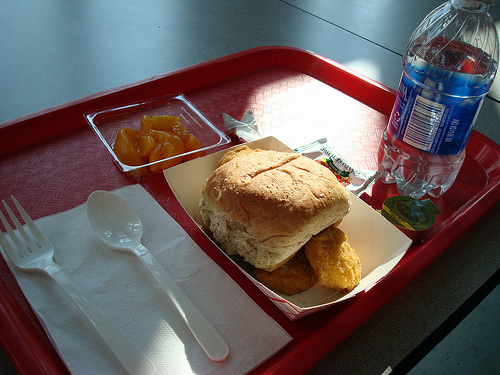 Contents: Water, wheat roll, chicken nuggets, mandarin oranges, margarine, ketchup. Notes: Not bad, a little skimpy. Do you prefer margarine or butter? Why?